Husband and wife, Mark and Lisa have been followers of Meher Baba since the ’70s and ’80s, respectively. They are tremendously gifted professional singers and musicians who tour the country playing music for a host of different audiences. Mark and Lisa focus their songwriting and performing talents on songs of heartfelt praise, dedicated to their Beloved Master, Meher Baba. Mark has composed a number of original Baba songs, which are both infectious and inspiring. The blend of their voices in harmony is so seamless that it evokes early Everly Brothers recordings. 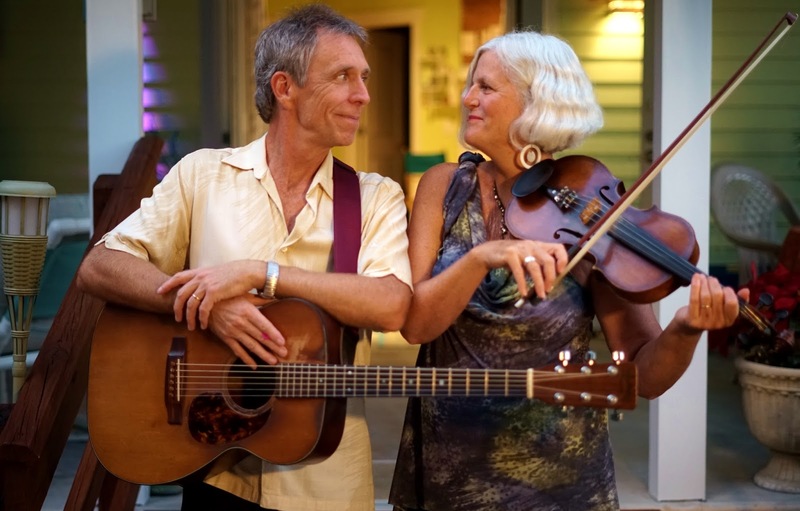 Lisa and Mark are both multi-instrumentalists who demonstrate their musical skills in a variety of ways, especially on mandolin (Mark) and fiddle (Lisa). The songs themselves are beautiful and uplifting. The overall feeling is one of joyful devotion, accompanied by expert musicianship and spiritual sincerity. To hear several samples from their newest CD, including “Anything is Possible by Your Grace,” click here. Mark and Lisa’s mandolin and fiddle, can also be heard on many Baba musician’s recordings including those of Jamie Newell, Buz Connor, Cindy Lowe, Bobbi Bernstein, Jim Meyers and others.